This video shows how a parent can use PASS materials to bring open-ended questions in communication with his/her child. These questions help create the foundation for the development of creativity and thinking skills of their children. You can see the father asking his son about cartoons he used to like when he was younger and then inviting him to imagine the cartoons he might like in the future. The father also explains the reasons for the questions he asks. This video gives examples of open-ended questions a parent can ask when talking about characters in the cartoons his/her child likes. These questions help to create the foundation for the development of creativity and thinking skills of children. You can see the father inviting his son to compare characters from two different cartoons. The child is asked to find similarities between the characters that look very different at a first glance. He also explains why these particular questions have been chosen. This video illustrates the process of playing a yes-no game with a child. You can see the father inviting his son to ask yes-no questions to find out which car the father is thinking about. The child starts by trying to guess the car. The father leads his son to see that such an approach fails and a more reliable strategy is to be chosen. Brief comments on the actual process of playing a yes-no game are also provided at the end of the video. This video shows how a sorting activity can be introduced to your child. 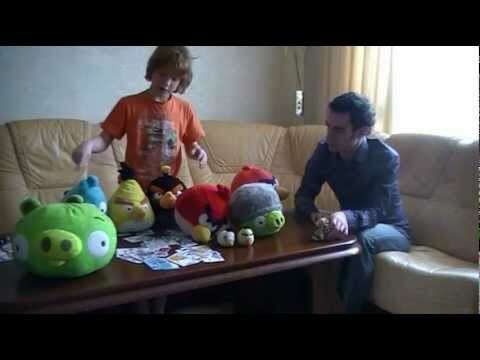 You can see the father inviting his son to sort the characters from the Angry Birds series. The boy is very enthusiastic in the beginning but then realises that finding a reason for sorting is often difficult. 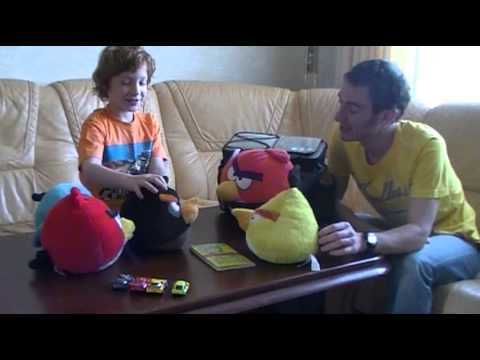 Here the father leads his son to noticing various features of the Angry Birds and using them as a reason for grouping the characters. The father's comments on the process of playing the game and explanations of his actions are provided at the end of the video.